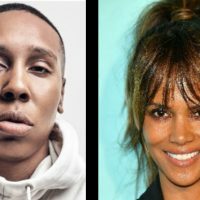 BET(NEW YORK) — Lena Waithe is dishing on the forthcoming Boomerang reboot. The new TV series, executive-produced by Waithe and Halle Berry for BET, is an adaptation of the original 1992 film. The new comedy follows the children of movie’s main characters as they try make their mark on the business world in Atlanta. According to the Emmy-Award winning writer and actress, the new iteration will a “beautiful” journey for viewers to watch. “This is a journey I’m taking the audience on with these six amazing, interesting, unique characters who are gonna put you on a beautiful ride about what it means to be young, gifted, and black — and exhausted from always trying to be perfect all the time,” Waithe explained.